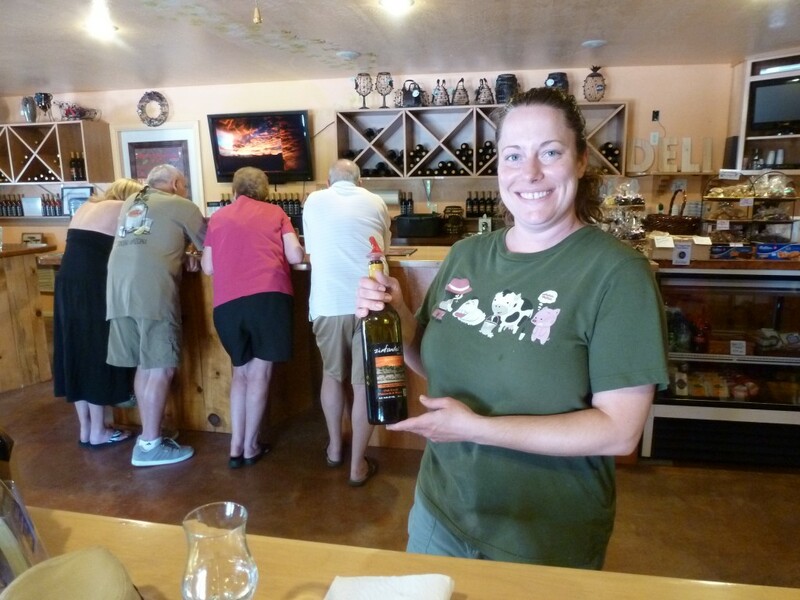 When I tell people about the quality of many Arizona wines, most respond by saying something like, “They make wine in Arizona?” Before I visited, I had my doubts as well. Surely it’s too hot and too dry to make serious wine, I thought. The overblown wines I tasted at Tlaquepaque confirmed some of my fears, but a visit to Page Springs restored my confidence in the potential of Arizona to make delicious wine. My first stop began inauspiciously. I asked to taste the entire range of wines on the menu at Oak Creek Vineyards (except the white zin), and requested a spit bucket. “We don’t have spit buckets,” the friendly but rather taken-aback employee replied. Spitting at the bar was actually expressly forbidden by the health department, because cheeses and charcuterie are served there. After wrapping my head around the idea of a tasting room without spit buckets (you can’t walk to this tasting room, after all), I managed to negotiate a spit-friendly place at a different table. The wines I tasted were all good, and some were excellent. Priced between $20 and $30, these wines aren’t inexpensive, but if you can find them, they’re worth it. Not only will you get a tasty bottle, you’ll be investing in an up-and-coming wine region I feel is destined for greatness. Many of the wineries are less than 10 years old, but they are already producing impressive stuff. Thanks for your comment, and I think you’re probably right. I know Texas makes some fine stuff, and Virginia has some absolutely amazing wines, but they have yet to really break out. Hopefully good wines from all these places will be easy to find on store shelves in the near future.